Can you beliebe I haven't posted anything about San Francisco in like FOREVER??? I only wrote about the Top 10 Things To Do In San Francisco a while ago, which listed the most famous tourist attractions in the City by the Bay. In this post I want to share some San Francisco insider tips with you, that I've discovered during my time there. So if you don't want to do the typical tourist things, this is the list you should stick to! This is one of my favorite activities in this city and one of the reasons why I think it is such an amazing place! You don't even have to go far to escape the city life with a nice hike and amazing views. In San Francisco you can have all this within a heart beat. Simply take the N train all the way to Ocean Beach (it couldn't be easier) and hike along the coast to Baker Beach in the North. The hike isn't super long and quite easy but offers amazing views of the bay and the Golden Gate Bridge. On the way you can see other sights too like the famous Cliff House and the Sutro Baths. You won't find any Dunkin' Donuts at all and there's only one In'n'Out in the entire city (whoooottt). San Francisco isn't a place for chains. Except for when it comes to coffee. Besides the regular Starbucks places, you can also find Peet's - it's just like Starbucks just...you know...Peet's. I get it - coffee is important and the Wifi is free so as a tourist you always have a reliable source where everything feels just like home. 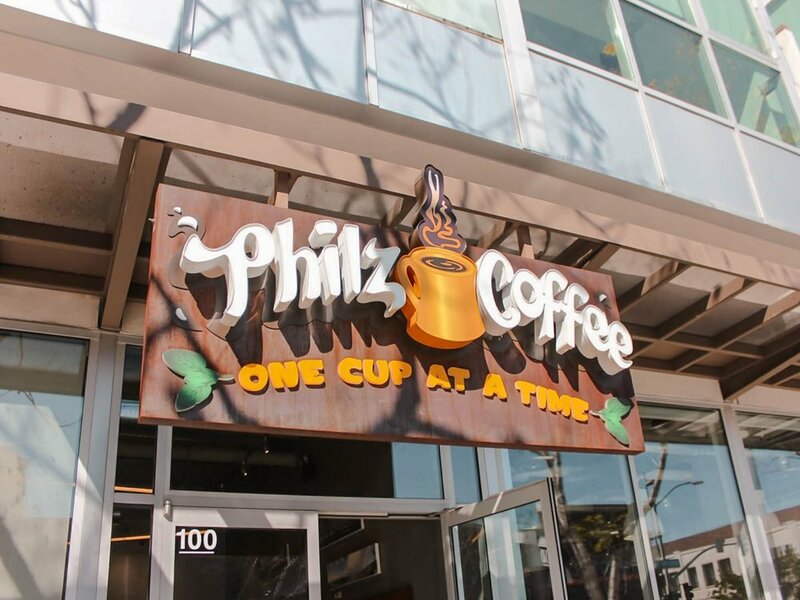 If you happen to be in San Francisco though, get your coffee at Philz or Blue Bottle - along with the other, real San Francitizens. Plus, it's way better, too. When it comes to food, definitely shop at Bi Rite Supermarket (there's one on Divisadero and one near Dolores Park). Even if you don't want to buy groceries, you should definitely stop by! They always have a lot of things to try and you can get amazing sandwiches to go or one the most delicious ice cream flavors I've ever had! Their products are a bit pricey (even for San Francisco standards), but it's definitely worth to stop by! This is one of my favourite things as well. If you happen to be there while the theater is organizing a sing-a-long, you should DEFINITELY go. The theater itself is worth a visit though. It's located in the Castro District, which is famous for its LGBT culture (rainbow colors galore) and has the most amazing auditoriums. Several times a year, the theater offers sing-a-longs for different movies, such as The Sound of Music, Grease or Disney Movies like The Little Mermaid or Frozen. I have been three times during one year and it was always so much fun! Even though I saw theaters in Germany offering sing-a-longs, I'm sure none of them is as fun as the ones in San Francisco (the audience is also one of a kind). Besides Golden Gate Park, there are many other parks in San Francisco and I think all of them are worth a visit. They offer a great escape of the city such as the gigantic Golden Gate Park, a great view of the city such as Buena Vista Park, a great place to hang out and have a picnic such as Lafayette Park and more. One park you definitely shouldn't miss in order to have a great San Francisco experience is Dolores park. On a hot day, you can find the whole city hanging in this place - drinking (yeah, the law isn't a thing here), dancing, painting, sun bathing, dog watching, exercising and sometimes doing things you rather wouldn't see. Still - it's one of the best places in San Francisco! San Francisco is a brunch city. You might have to wait a long time in order to get your food (or even be seated) but it is definitely worth it! There are many different brunch places and some of my favorites are Zazie, Kate's Kitchen, Straw and Friends with Benedicts. If you have the time (and the money) a brunch place that should definitely be on your list is a brunch at the Top of The Mark. The Mark Hopkins Hotel is located on California Street on Nob Hill and has one of the best views of the city. Their brunch is amazing (they even have someone playing the piano), the mimosas are plenty and the view is simply amazing. If you are looking for a place to escape and chill and aren't nearby a park, you might try to find one of San Francisco's POPOs: Privately-Owned Public Open Space. Those are publicly accessible spaces like plazas, terraces or small parks and are mostly located in the Downtown office district area. The City of San Francisco encouraged these projects to offer more space to relax and hang out in busy areas. Some of my favorites are the Transamerica Redwood Park, 100 First Street Rooftop Garden and the 343 Sansome Street Roof Garden (amazing place for lunch on a sunny day). You can find a map of all the POPOs in San Francisco here. The craft beer scene is big in San Francisco (and all over the US), which can be quite confusing for a non-citizen (especially if you are German and only used to the Lagers, Pilseners and such). Even though people might tend to be too snobby about their beers and different IPAs, you should definitely try to dive into this scene if you happen to be there. Since you might not be familiar with all the terms and beers, I recommend having a beer at Cellarmaker on Howard Street. You will always find a variety of beers on tap along with several infos about the taste and ingredients they used. My favorite part of the city is the area called Duboce Triangle. It's right by Duboce Park between the Casto and Hayes Valley / Haight Ashbury and only covers a few blocks. Compared to the rest of San Francisco, the are is quite flat and not touristy at all. However, in my opinion this is one of the most beautiful parts of the city. You can find amazing looking houses, cute cafés and Duboce Park is a nice place to hang out with and play with your dog. A great thing about San Francisco - you are everywhere fast. So make sure you don't miss the amazing surroundings of the city. Napa and Sonoma are just a short ride away and offer some of the most amazing wines on earth. Worthwhile hikes are also close by such as the Matt Davis Trail in Marin County or a hike to the Alameda Falls. Close cities like Oakland or Palo Alto are also worth a visit. You see - opportunities are endless. Compared to The Top 10 Things To Do In San Francisco, these are more special tips that I would recommend, if you are not looking for a typically touristy San Francisco experience. If you are planning a vacation to my favorite city in the world, hit me up for some more tips or check out my post about My Favorite Things To Do In San Francisco. Kate recommends: "Golden Gate" by Vikram Seth is a story about the loves and lives of several Bay Area yuppies. The unique selling point: it is told in sonnets and therefore maybe not for everyone. However, it is a great story about SF life and its transformation in the '80s.